China’s sustainable development path has once again attracted global attention and plaudits after President Xi Jinping reiterated the strategic choice in a landmark report delivered on October 18, 2017. Scholars and observers worldwide agree that the commitment and achievements of the world’s largest developing country and second largest economy provide the struggling global economy with both a promising direction and a robust booster for future growth. China’s economy has been transiting from a phase of rapid growth to a stage of high-quality development, Xi said in his report at the opening session of the 19th National Congress of the Communist Party of China (CPC). 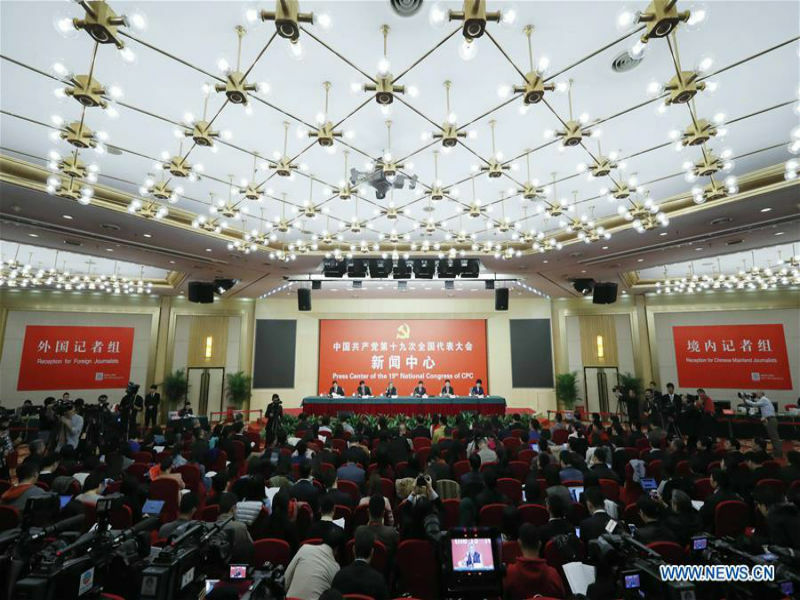 The CPC national congress, held every five years, elects the Party’s leadership and draws a blueprint for national development for the next five years and beyond. Nele Noesselt, a German professor at the University of Duisburg-Essen, spoke highly of China’s reform measures, which channel more resources towards a more sustainable model of economic growth. “All these efforts will lead to greener and sustainable development and growth. That is really fascinating and really impressive,” said Noesselt. Xi’s report also stressed once again the importance of satisfying the people’s desire for a better life. The “four new inventions,” namely, the high-speed rail, Alipay, bike sharing, and online shopping, have unleashed the forces of domestic consumption and revolutionized the socio-economic landscape of China, noted the Indian scholar. “China can count on a society looking to the future ... a society with sustainable development sharing a green economy, new technologies and promoting the environment,” commented Ignacio Martinez, coordinator of the Laboratory of Analysis of Trade, Economics and Business in Mexico. The Belt and Road Initiative, put forward by Xi in 2013, is “one of the most important initiatives that we have today in the contemporary world,” said Serbian President Aleksandar Vucic. Comprising the Silk Road Economic Belt and the 21st-Century Maritime Silk Road, it aims to promote trade, financial integration, infrastructure connectivity and people-to-people exchanges along and beyond the ancient Silk Road trade routes. In their congratulatory messages to the CPC on its 19th national congress, many foreign leaders spoke highly of Beijing’s commitment to sustainable development and pointed out what that means to the world. “In these turbulent times, the 19th National Congress of the CPC gives a strong message of unity, cohesion and determination to fight for peace, sustainable development and the creation of harmonious world societies,” said former Greek Prime Minister George A. Papandreou.